Envisioning a life without dependency on drugs and alcohol calls for healing and restoration on every level — body, mind and spirit. Our approach to addiction treatment is a holistic one, seeking to restore hope and health to individuals who come to us out of painful, self-destructive patterns. It’s not enough to end a physical dependency through successful medical detox. On the other side of that first step, the recovering alcoholic or addict must have the right support in place to break those old habits and replace them with new ones. He or she must find a new way to fill the void that drugs or alcohol once did — essentially, find a new meaning in life. Oxford Treatment Center is a comprehensive addiction treatment center based in the rolling hills of north Mississippi, 16 miles outside the quaint college town of Oxford and 65 miles from Memphis, Tennessee. 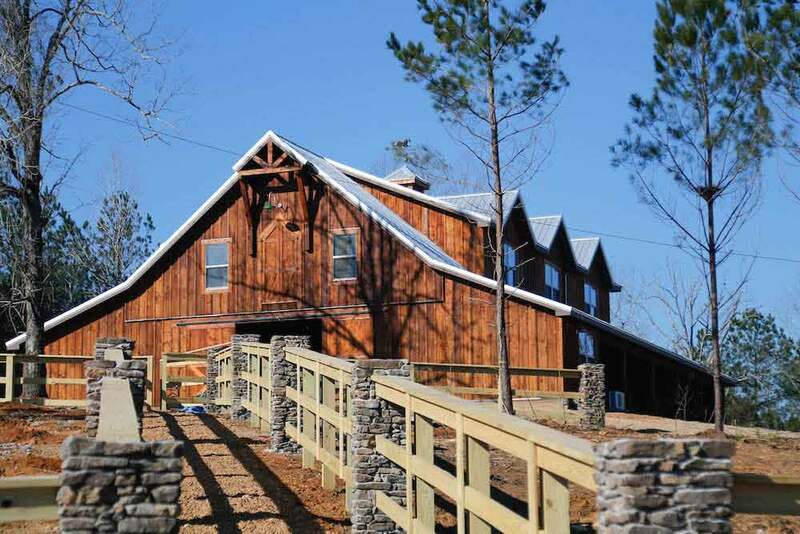 Our main property is a 110-acre residential treatment center situated in a peaceful, wooded setting. The campus includes a main lodge, medical services facility, patient cabins, fitness center, equestrian center and outdoor pavilions, all encircling a large private lake. Oxford Treatment Center is licensed to provide all levels of care for drug and alcohol addiction. We offer quality, cost-effective treatment services for all addictive disorders, with a specific focus on the successful treatment of opiate dependency. Oxford provides only the best quality care to our patients. As an American Addiction Centers treatment facility, we can be counted on to provide the most up-to-date treatment and the highest standard of care to those whose lives are in our hands. Leadership from each our American Addiction Centers facilities meet on a regular schedule to discuss patient care, the newest advancements in addiction treatment, and how to continuously improve our programs to provide the best patient outcomes. For most patients, recovery begins with medical detoxification and stabilization. At Oxford Treatment Center, 12 beds are devoted to medical detox, with the remainder dedicated to the residential treatment program which follows. A typical stay is 30 days. Depending on a patient’s needs and situation, Oxford Treatment Center provides a sober-living environment after treatment. Oxford Treatment Center also operates an outpatient office in Oxford, where it provides an intensive outpatient program and continuing care. Its alumni program extends support for those in recovery. Oxford Treatment Center is owned by American Addiction Centers and is licensed through the Mississippi Department of Mental Health, Bureau of Alcohol and Drug Services. The center is accredited by CARF International and is a member of the National Association of Addiction Treatment Providers.